Samsung is likely to introduce a new mid-range Android smartphone, the Galaxy J6 (2018), very soon. We've reported about the device in the past, so many of you have already heard of it, but now we have something new to share about the upcoming Galaxy J series phone. 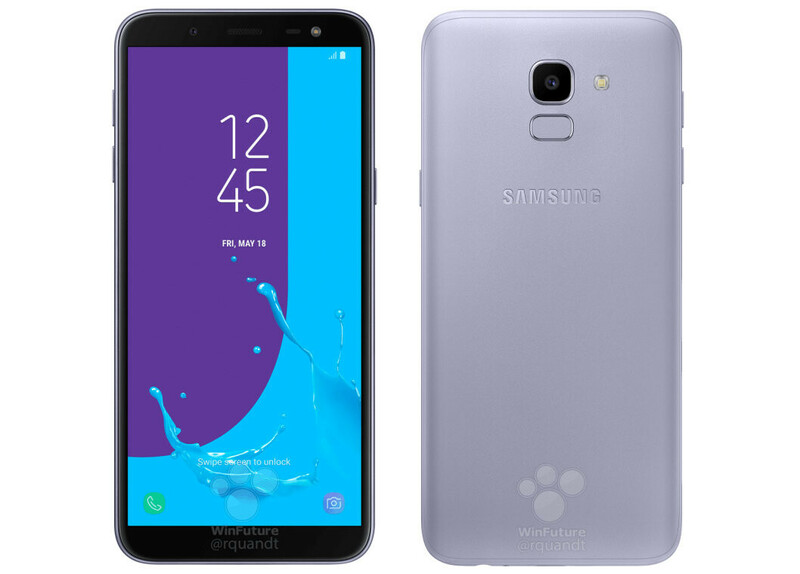 It appears that Winfuture.de published a set of press renders showing the Galaxy J6 (2018), although the smartphone hasn't been unveiled yet. The unannounced device will be available in three color versions: Black, Gold, and Orchid Gray. No word on the price yet, but chances are Samsung will put it on sale for around €250 ($295) outright. Unfortunately, the pictures don't come with details about the phone's specs, so we'll have to rely on the previous reports that claim the Galaxy J6 (2018) will come equipped with a 1.4GHz octa-core Exynos 7870 processor, 2GB or 3GB RAM and either 32GB or 64GB expandable storage. As seen in some of the images, Samsung's mid-range handset will include a fingerprint sensor on the back, alongside a 13-megapixel single lens camera. The front side features a 5.6-inch Super AMOLED Infinity Display with HD+ resolution and 18:9 aspect ratio, as well as an 8-megapixel selfie camera. Design-wise, the Galaxy J6 (2018) is likely to adopt a more affordable look, as Samsung has decided to opt for a plastic case instead of one made of metal. We have yet to learn the capacity of the battery, but we know Samsung included Android 8.0 Oreo. Who is still offering 2 GB to 3 GB RAM?? Longest phone in history ? There is no other phone more closely resembling a TV remote control. It looks like reaching to that FPS will be nightmare. It's such a shame that samsung stooped this low. Outdated specifications with horrible design. Either stop calling this piece of &hit "infinity display" or else make it look like that. Samsung could have at least gone with display like a8 or old 16:9 but this is just unacceptable. Utterly disappointed. In all fairness to Sammy, this is a "Mid Level" device. The expectations shouldn't be too high in the first place. This looks like a very decent device for the price point.